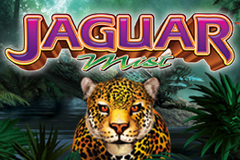 Nothing to do with luxury cars, Jaguar Mist is a poker machine that sets its reels in the jungles of South America and sees colourful creatures lining up across 5 reels to bring in rewards including free spins with multipliers, wild substitutions and scatter payouts. It’s also got the Xtra Reel Power format which activates more sections of the game with bigger stakes and this gives players the option to bet less and have fewer winning spins or go for a bigger bet and have all of the game in play for more winning chances. Pokies themed around wildlife are generally quite popular and there’s no reason to think that Jaguar Mist will be any different. The aim of the game is to spin the reels and hopefully land 2, 3 or more matching symbols on reels running form the left side, with different symbols having different values. It’s got a nice image of the jungle behind the reels and while the lower value symbols are the playing card 9 through to A, higher value ones are made up of a blue and orange frog, brightly coloured parrot, river dolphin and eagle. The 9 and 10 are least valuable, but to go some way to make up for this, only 2 of a kind need to land to be worth a win of 2x the stake per line, with 3, 4 or 5 of them equalling prizes of 5x, 10x or 100x respectively. King of this particular jungle is the jaguar, who is worth 10x the stake per line when he lands on reels 1 and 2, while getting a full line right across the game sees a payout of 300x returned to the player. There are a couple of other symbols that trigger bonuses, starting with the orchid. This is a wild and will therefore act as any other standard symbol if it can complete a winning combination, although it only appears on reels 2, 3 and 4 and won’t pay out anything on its own. The coin is a scatter symbol and this has a couple of important jobs to do here, with 2x, 10x or 20x the total bet returned whenever it stops in any 3, 4 or 5 positions at once. As soon as the scatter win has been credited, players are taken to the bonus feature where they are treated to 8, 15 or 20 free games depending on how many scatters appeared. It’s possible, although somewhat unlikely, to have wins multiplied by up to 27x during the free spins, as any examples of the orchid appearing in any active positions on the reels will multiply any wins for that spin by a random 2 or 3 times. If 9 orchids land at once and each gives out a 3x multiplier, the magic figure of 27x will be awarded, but even if this number isn’t reached, players should still be able to get some nice winnings with just 1 or 2 of them. During the feature, it’s possible to get 5 extra free spins with just 2 scatters, or landing 3 or more will trigger another round which will begin as soon as the current one has finished. There are a wide range of possible bet sizes for players to choose from, with just 0.01 being enough to activate reel 1 on the left side and the whole 3rd of the 4 rows of symbols. Upping the amount activates progressively more of the game and for a minimum of 0.40, all positions are in play. The stake can then be raised up to a total of 40.00 per spin, which should be plenty for the majority of players. Any pokie themed around wildlife will attract a big following and Jaguar Mist has several cute creatures to bring in the crowds. For those players not enthralled by the design, there are still some reasonable bonus features to enjoy, although the chances of getting a win in the free spins round multiplied by 27x is fairly slim. They shouldn’t despair however, as there are lots of potential winning combinations to spin up in the base game, while wild substitutions and scatter payouts can help to boost the bankrolls of anyone playing this attractive pokie.